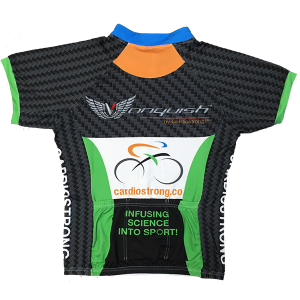 Our stylish cycling jerseys are manufactured using high quality microfiber to wick sweat and allow increased air flow to help keep you cool during your ride. Using a three quarter length zipper makes the jerseys easy to put on and remove and provides added ventilation if needed. 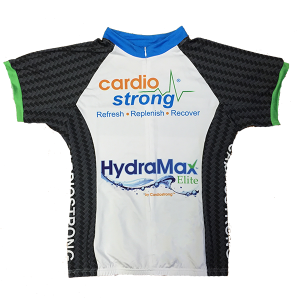 Each jersey is fully hemmed at the bottom to provide a snug fit that won’t ride up and contains three large pockets on the back to hold water bottles and your race day essentials. 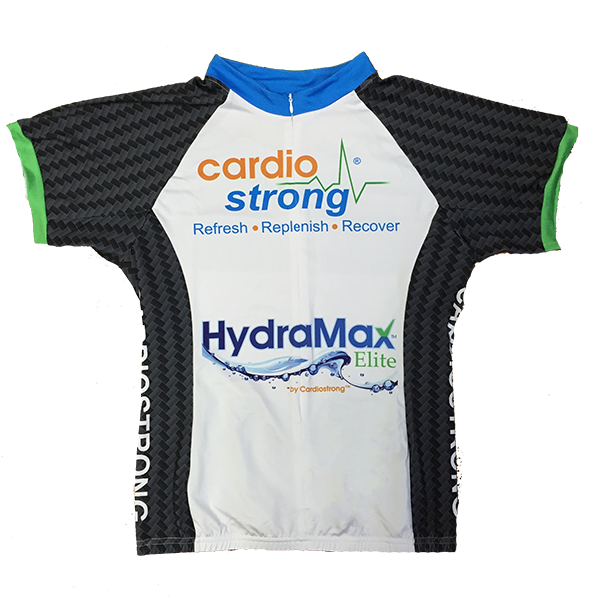 Our sleek “carbon fiber” design and bright logos will help you look as cool as you will feel during your time on the trails or on the pavement! Men’s and Women’s sizing available in Small/Medium/Large.